Great information for people who are new to twitter and existing users of twitter social media. It is a common expectation that when you follow a person on twitter they also respond to you by following you. It is necessary and it does not happen all time. 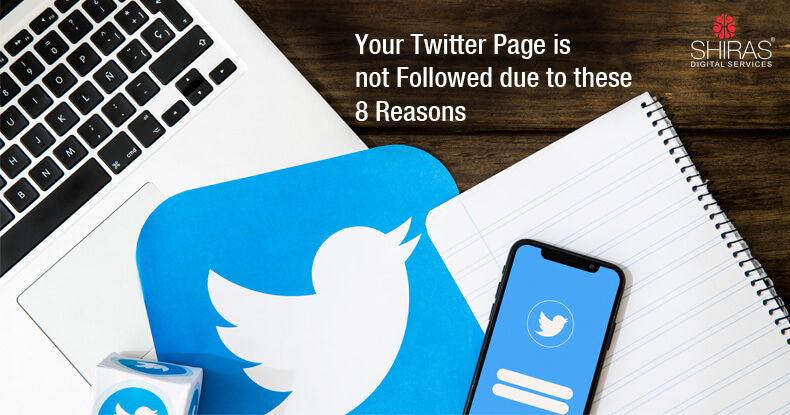 A number of reasons exist why your twitter account does not have enough followers in spite of being active on Twitter. Social media platform is user-centric and changes with respect to user behavior. So mastering over it is always a dream. You can only sail along with its trends and ever-changing features. So stop describing yourself that you are a Twitter – Ninja on this social media arena. Make your twitter description more creative rather than describing yourself. You rethink your profile picture. A twitter account would sound interesting with an attractive or a thoughtful profile picture. Optimize your profile with a profile picture that relates to your area of interests in the long run it will relate to your posts. You post a twitter post and ask people to like and re-tweet it, and promising them that you follow back their post. This will actually not entice any people to follow your twitter account. Twitter gives you the liberty to create and nurture your own pathway of content that will always have many followers. Your twitter account should have details about you, which could be simple yet informative about you. A modest and funny version of your bio would attract more visitors to follow your twitter. So many of you have mistakenly understood that a social media platform is to broadcast information. It a powerful medium to express one’s opinion, stay connected with people, and enjoy comradeship. It is not right to schedule and post information like a news bulletin at a particular time. The information could be re-written in a person’s own language and express his feeling or share his opinion. This attracts more followers to the post and considerably increase the followers. You must be insisting your followers on a particular concept and would have modulated your post in many ways just to have your followers land on the product page. This is a brilliant idea, yet this would also turn out to be a flop approach. When your followers come to your profile page and see that your last ten tweets convey the same message, they will start losing interest. You can combat this with a systematic approach. Create a calendar and organize your tweets so that you provide a valuable content post at right time intervals. Twitter is unique in its own way by laying restriction on the number of letters could be used in creating a twitter post. All social media channels promote message brevity. Your followers look for clear and crisp information. Too much of content with errors, broken emoji and more of hashtag will deter your followers. This would result in ‘Unfollow’ing you in a long go. You would love to see many followers like and re-tweet your post. This is the same scenario with your Twitter audience too. People love to engage and build network contacts when you tweet back their replies, engage in conversations, share your knowledge with others in the group, and build a healthy content stream. A credible online exposure is important. Shiras Digital Services sets a clear Online Reputation Management that influences the number of new visitors to follow your Twitter page.